Perspectives on baseball, sports, and life. ESPN’s Outside the Lines recently reported information from a previously unseen notebook that proves Pete Rose bet on baseball as a player. Pete Rose of course, was famously kicked out of baseball by then-Commissioner Bart Giamatti for betting on the game while as a manager. However, he maintained throughout his investigation and to this day that he never bet on the game when he was a player, which was one of the arguments many of his proponents used to make his Hall of Fame case. This new revelation changes his story and certainly makes it very unlikely that current Commissioner Rob Manfred will overturn Giamatti’s ruling or re-open the matter. Meaning Pete Rose will likely remain barred from baseball for the rest of his life. There are official and unofficial rules in baseball. You shouldn’t cheat or take performance enhancing drugs, you shouldn’t try and get hit by a pitch to break up a perfect game, you shouldn’t flip your bat or admire your home run ball, and you shouldn’t touch an umpire or take too long to adjust your batting gloves in the batter’s box. But more important than any of these: you can’t bet on baseball. The Chicago White Sox were famously dubbed the Black Sox in 1919 for taking money from gamblers to help throw the World Series. And due in part to that scandal and the effect it had on the game, fixing and betting on games was considered the ultimate evil for someone involved in the game to do. Fans looked the other way at stars taking PEDs and amphetamines, at minor league players earning less than minimum wage and even at outright racism and homophobia from their team’s players and personnel, but what they would not tolerate was betting on the game. This has been the doctrine of the league for years and no one has questioned it. 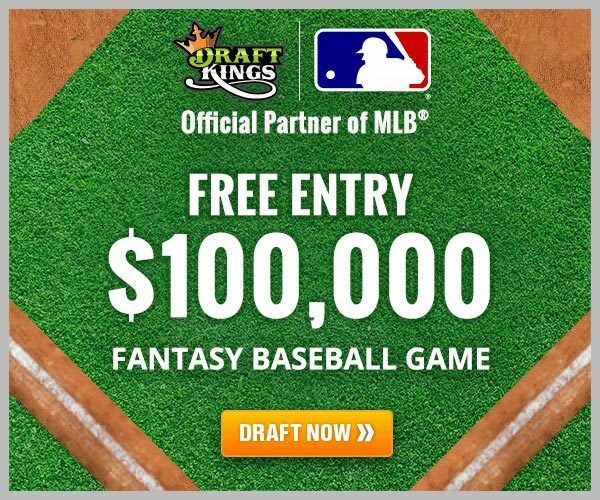 And yet, on April 2, 2015, DraftKings.com became the official Daily Fantasy Sports partner of Major League Baseball. Daily Fantasy Sports (DFS) has seen an explosion of popularity over the last few years, and recognizing this, Major League Baseball capitalized on the surge in enthusiasm and the emerging market. There are many DFS sites around, with the most popular being DraftKings, FanDuel, and FantasyAces, but there are many more and no reason to list them all here. Fantasy sports is a multi-billion dollar industry, and DFS capitalizes on that market by giving players the opportunity to play every day with a different team participating in new contests for new prizes. While there is skill involved in picking your lineup and optimizing to the opposing pitcher, where your player is batting in the order, ballpark factors and more, it is still a form of legalized gambling. You pick your roster and pay a certain amount to enter that roster into daily contests. The contests then pay out a prize to either the top half of entrants or to a set number of winners (depending on the site and contest). DFS has been a huge boon for the fantasy sports industry, as fantasy writers and experts can double up by participating and making money in the contests since they usually know more than the average participant while also writing articles and giving advice on DFS tactics through their personal websites, companies and other mediums. It also continues to grow in popularity, and with money on the line, people are likely to seek the advice of experts to make sure they are making the right moves. DFS has also been a hit for MLB, as with any fantasy sport, fans are more likely to tune in to track their players and see how well their team is doing. Baseball especially is a tribal sport with most fans only following the progress of their own team or maybe sometimes that of their rivals as well. But with fantasy sports, players track stars across the sport on all 30 teams and look for the best value if he is wearing your team’s colors or not. But even while the baseball industry makes money hand-over-fist from fantasy, it punishes its players for participating or even mentioning it. On April 3, 2015 (one day after signing the deal with DraftKings), Major League Baseball fined Miami Marlins pitcher Jarred Cosart for a link to gambling. In a statement from Commissioner Manfred, “the investigation [into Cosart] did not reveal any evidence to suggest that Cosart, who fully cooperated with the investigation, bet on baseball.” Instead, they fined him for violating a rule that “prohibits players from placing bets with illegal bookmakers or agents for illegal book makers.” In other words, even though Cosart did not bet on baseball he did make a bet. And it was with an “illegal bookmaker.” Now what constitutes an illegal book maker? The rule comes from Major League Rule 21(d)(3) which just says the above and that it is “strictly enforced and applies to gambling with illegal bookmakers of any sport or event” (not just baseball). So that doesn’t clear anything up about what is illegal. All we can think is that MLB wants to discourage gambling, except when it is sanctioned or through their own legal bookmakers – DraftKings. The purpose of MLB’s hardline about players betting on baseball is that the Black Sox Scandal was a real black mark on the sport, and thanks to its occurrence during the World Series, many fans were lost and never returned. Leaving aside that at the time the players did not have any form of free agency and were similar to indentured servants, tied to their teams and owners who were the only people they could negotiate their salary with as a reason that the players on the White Sox took the money from gamblers when it was offered – the issue still seemed to be that by agreeing to fix and lose the game, the legitimacy of the sport was called into question. The White Sox players did not take money to try and win the Series (something that they obviously would have tried to do without any extra incentive), they took money to lose it. This all brings us back to Pete Rose. Major League Baseball will likely review the new report from Outside the Lines and conclude that the initial ban from baseball by Bart Giamatti was the right decision and that Pete Rose will never be allowed back in baseball in any capacity. But to do so is to assume that when Rose was betting on baseball, he was ever doing so to lose a game. The thought that one of the greatest players to ever play the game, the man who holds the records for the most hits in major league history, was trying to lose is just silly. If you have ever watched Pete Rose play – live or in clips from the past – you knew that he played all out, all the time. Heck, his nickname was Charlie Hustle. To think that he was ever betting on the Reds or Phillies to lose while he was playing for them does not align with everything we’ve ever seen him do. And he makes the same claims for himself as a manager when he admitted to betting on the game, but never against his own team. I will never know what exact bets Pete Rose placed, and likely he doesn’t remember all of them either. Gambling is an addiction that can be as harmful as anything, and it can tear apart families and lives just like more common addictions to drugs and alcohol. But before we vilify Rose and prop up MLB for keeping out a criminal, let’s remember that profiting off of vices has been part of baseball’s business model for almost its entire existence. Major League Baseball has no place being high and mighty about gambling and Pete Rose. Just as they had no place suspending and punishing Josh Hamilton for admitting to relapsing on alcohol and drugs in the offseason. 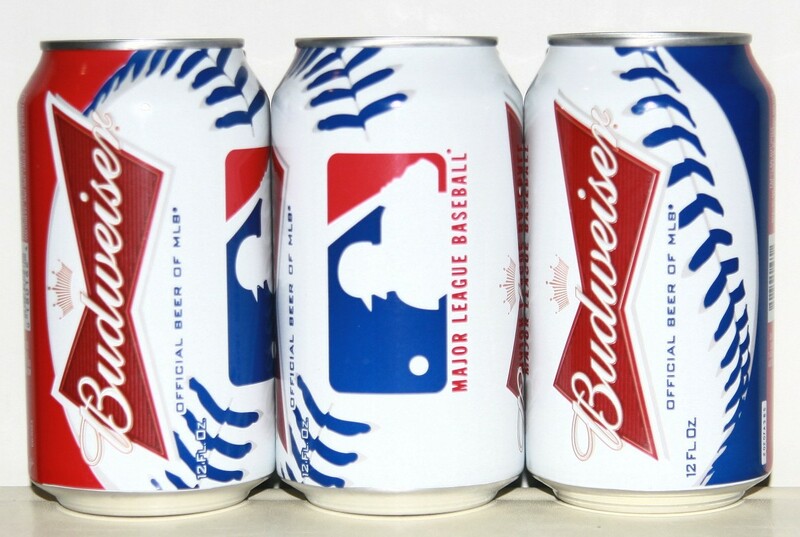 As long as baseball continues to take money from DraftKings and Budweiser for being the “official daily fantasy sports partner” and “the official beer of Major League Baseball,” then they don’t get the moral high ground to fine and suspend their players for participating in those same vices. DFS is not going to go away, and since most sites operate online, it is not an easy form of gambling to regulate. If Major League Baseball wants to police its players and keep them from participating in activities that are thought to be unbecoming without being hypocrites, they must renounce their deals and partnerships with these companies and industries.